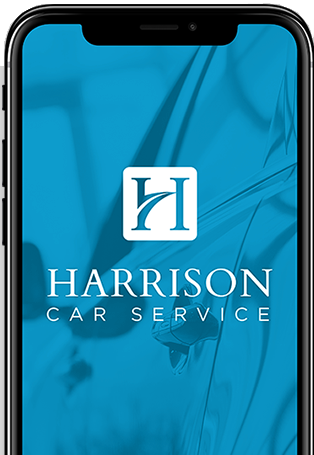 The website and its content is owned by Harrison Car Service. The term “you” refers to the user or viewer of www.harrisoncarservice.com. Please note that the information above (“Personal Data”) that you are giving to us is voluntarily, and by you providing this information to us you are giving consent for us to use, collect and process this Personal Data. You are welcome to opt-out or request for us to delete your Personal Data at any point by contacting us at support@777limo.com . Persistent cookies can be removed by following your web browser help file directions. Most Internet browsers automatically accept cookies. Harrison Car Service may use both session cookies and persistent cookies to better understand how you interact with the Site and our Service, to monitor aggregate usage by our users and web traffic routing on the Site, and to improve the Site and our Service. Harrison Car Service does not process or respond to web browsers’ “do not track” signals or other similar transmissions that indicate a request to disable online tracking of users who use our Service. Harrison Car Service cooperates with government and law enforcement officials or private parties to enforce and comply with the law. To the extent permitted under applicable law, we may disclose any information about you to government or law enforcement officials or private parties as we believe is necessary or appropriate to investigate, respond to, and defend against claims, for legal process (including subpoenas), to protect the property and rights of Harrison Car Service or a third party, to protect Harrison Car Service against liability, for the safety of the public or any person, to prevent or stop any illegal, unethical, fraudulent, abusive, or legally actionable activity, to protect the security or integrity of the Services we provide and any equipment used to make the Service available, or to comply with the law. Harrison Car Service is very concerned about safeguarding the confidentiality of your Personal Information. We employ administrative and electronic measures designed to appropriately protect your Personal Information against accidental or unlawful destruction, accidental loss, unauthorized alteration, unauthorized disclosure or access, misuse, and any other unlawful form of processing of the Personal Information in our possession. Please be aware that no security measures are perfect or impenetrable. We take commercially reasonable steps to protect the Personal Data you provide to us from misuse, disclosure or unauthorized access. We only share your Personal Data with trusted third parties who use the same level of care in processing your Personal Data. You may unsubscribe from our e-newsletters or updates at any time through the unsubscribe link at the footer of all email communications. If you have questions or are experiencing problems unsubscribing, please contact us at support@777limo.com .